Using arthritis of the knee as an example, we have essentially four “injectables” at our disposal. Each has their own risks and chance of success. When Steroids help, they seem to help for approximately 3 months. We use a particle steroid called Kenalog, along with lidocaine. What do steroid injections cost? COSTS - A steroid injection is performed in our clinic. A steroid injection for a large joint (knee, hip, shoulder) costs around $338 out of pocket. This procedure can be billed to insurance and may be covered depending on your insurance policy. Check with your local clinic to see how much it costs there. We currently stock Synvisc-one at our clinic, however, we need to plan ahead for this injection by obtaining authorization from your insurance. Check with your insurance policy to determine if they cover Synvisc. They may cover a different brand, and we will try to obtain this for you. COSTS - A visco-supplementation injection is performed in our clinic. The out of pocket cost is around $1,412. We most often inject steroid in conjunction with the visco-supplementation. This would add around $72. This procedure can be billed to insurance and may be covered depending on your insurance policy. The term “Biologics” is commonly referred to when we discuss injectable options for orthopaedic injuries and arthritis. Specifically, we are talking about Platelet-Rich-Plasma (PRP) and Mesenchymal Stem Cells (MSCs). Let’s learn about each category of biologics so that you and your doctor can make the best decision possible. Platelets are instrumental in healing processes because they release a number of growth factors and additional bioactive proteins upon activation. PRP attempts to concentrate platelets and/or growth factors from blood serum and can be classified as growth factor therapies. PRP is a growth factor therapy in which platelets are concentrated from serum. Several studies in our literature support the use of PRP in arthritis as an effective treatment, while other studies do not. The procedure consists of blood being drawn from a vein in the arm and then centrifuged to concentrate the platelets and growth factors before being re-injected into the target, or injured area. How Long Does PRP Take and Does It Work? This process can take about 45 minutes. PRP is more effective in mild to moderate arthritis and knees that have normal alignment and a healthy meniscus when compared to knees with severe arthritis. Most studies have shown pain relief in about 75% of patients, depending upon a multitude of factors. When effective, PRP can help decrease pain in the arthritic knee for about 1 year. If you experience improvements, we may recommend a repeat injection in 6 weeks. COSTS - When performed in a clinic setting, a PRP injection costs $1,200 for one joint. If 2 joints are injected, an extra $200 will be charged. These fees are bundled with a surgical procedure so you will not see a separate bill if performed in conjunction with surgery. Stem cells are unspecialized cells that have the ability to differentiate into multiple different cell types or to replicate themselves. Also known as Mesenchymal Stem Cells (MSCs), these can be harvested from abdominal fat or bone marrow. We tend to use a bone marrow aspirate technique for our stem cell injection therapy. These are adult stem cells, not embryonic nor umbilical stem cells. Minimal manipulation of the MSCs occurs, and is only centrifuged in an attempt to concentrate the most prolific growth factors within the Bone Marrow. Because of this, the injection is often referred to as BMCC or Bone Marrow Cell Concentrate. In a large review of 18 clinical trials, including 10 prospective studies, MSC treatment in patients with Osteo-arthritis (wear-and-tear type) showed continual pain releif for 24 months compared with their pretreatment condition. Effectiveness of MSCs was better at 12 and 24 months post-treatment, compared with 3 and 6 month pain relief measurements. Patients who also had arthroscopic debridement or lower degrees of arthritis on x-rays showed improved outcomes. MSCs DO NOT have the ability to reverse the arthritis we see on xray as a stand-alone procedure. Think of these as a way to decrease the pain from arthritis for up to 2 years. This procedure requires planning and pre-procedure medication for pain. The procedure may take 1-2 hours in our clinic. COSTS - Stem cell injections can be performed in our clinic. This costs $2,000 for one joint. There will be a charge of $750 for a second joint. These fees are bundled with a surgical procedure so you will not see a separate bill if performed in conjunction with surgery. **The procedure costs above are estimates. These may have changed since this article was created. Team Sterett supports Activity Preservation. One of our goals is to keep you actively doing what you enjoy. This may include a spectrum of conservative treatments to surgical intervention. Biologics injections are treatments we may recommend for you. In our world of Sports Medicine, the term “biologics” means natural products we are harvesting from your own body in an effort to optimize healing. 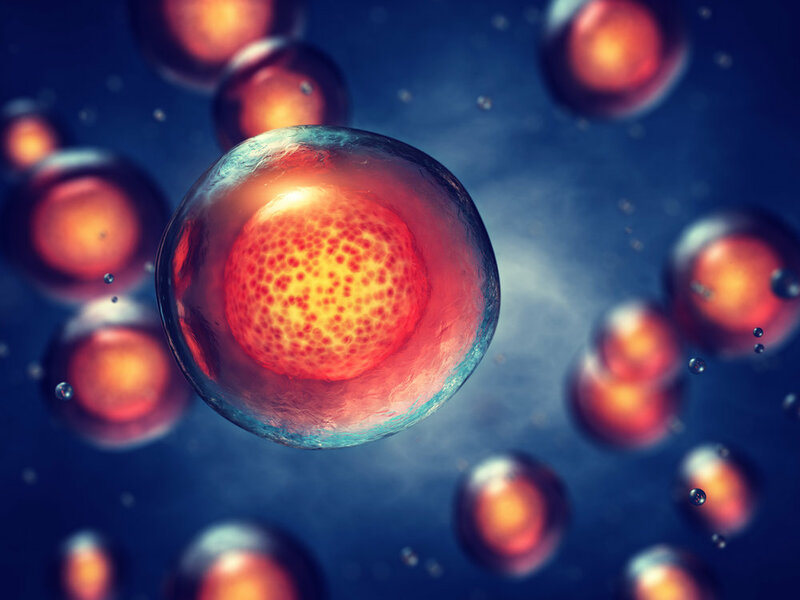 Stem cells are cells that are naturally occurring in our bodies that have the power to replicate and transform into any type of cell in the body. Specifically mesenchymal stem cells (MSCs) have been primarily known to differentiate into muscle, bone, and ligaments. This is why they are an attractive subject of study and application for guiding the healing and regenerative process in orthopaedic injuries. How Do You Obtain Biologics? Dr. Sterett obtains the stem cells, or MSCs, for use from bone marrow aspirate (BMA), which can be obtained from your pelvis. BMA is a blood product consisting of a mixture of different types of cells. Once obtained, we spin the cells in a centrifuge in order to separate the cells that we want, or the MSCs. We use two forms of biologics in our practice. MSCs and Platelet-rich-plasma (PRP). Platelets are beneficial to healing because they release growth factors. We obtain PRP from an upper extremity blood vessel, such as through an IV portal, and send the blood product to the lab where it is spun in a centrifuge. From here, we have concentrated platelets to use in an effort to stimulate healing. The cells we use for treatment are considered “minimally-manipulated” because they are simply separated from the BMA. They are not modified or grown in a lab. What Can Stem Cells Be Used For? MSCs have been used for purposes of fracture healing. MSCs are used for fractures that have not shown proper healing on their own, and are in need of a healing boost. Intervertebral disc disorders have also been treated with MSCs. There is limited research on human subjects, however, promising results in laboratory setting and in animal subjects have taught us MSCs’ abilities to potentially restore intervertebral disc height. Sports-related injuries, often consisting of ligament and tendon injuries, are more frequently being treated with biologics as an adjunct to physical therapy, activity modification, and surgery. This includes common injuries such as injuries to the Achilles tendon, meniscus tears, ACL tears, rotator cuff tears, etc. Cartilage injuries have also been treated with biologics. 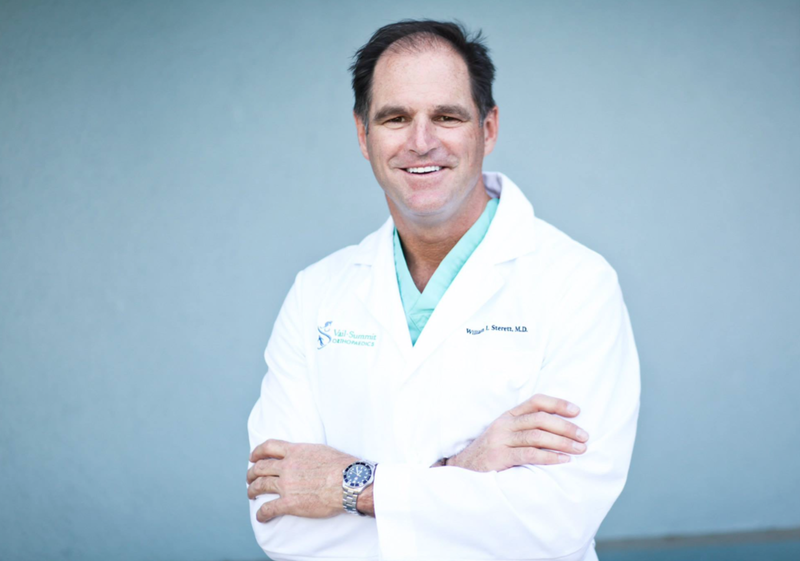 Dr. Sterett applies MSCs when he performs surgeries to restore cartilage such as a microfracture, biocartilage application, and chondroplasty. MSCs alone have not been used to treat these conditions. Surgery is needed to address these injuries in conjunction with the biologics use. Biologics injections can also be used to treat osteoarthritis. Repairing the damage that is already in the arthritic joint is not yet possible. The primary goal of biologics injections for osteoarthritis is to reduce pain, reduce inflammation, and improve function. Biologics may not prevent surgery for osteoarthritis, or joint replacement, but it may delay surgery by making you more comfortable when you are participating in your sport of choice. DO YOUR HOMEWORK, ASK US, AND FIGHT OUT THE RIGHT “FIT” FOR WHAT YOU ARE TRYING TO ACCOMPLISH.